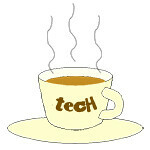 microPOWER « Tech bytes for tea? New Jabra Storm features advanced Noise Blackout which cancels outdoor noisy situations and offers 10 hours of clear conversation on the go. Available in Singapore for S$128. South Korean Rock music songwriter – Go Younha – wearing the new Jabra Storm. Noise Blackout uses dual microphones and DSP technology to reduce background noise. The sleek and stylish Jabra Storm. The stylish but discreet behind-the-ear Jabra Storm also features microPOWER battery and Wind Noise Blackout (different from Noise Blackout) technology. microPOWER technology reduces battery size and boosts battery efficiency, while Wind Noise Blackout reduces wind noise. The A2DP-enabled Jabra Storm weighs only 7.9g and boasts a standby time of 10 days. The Jabra Storm is now available in Singapore from Apple premium resellers, Challenger stores, Harvey Norman and other authorised resellers.